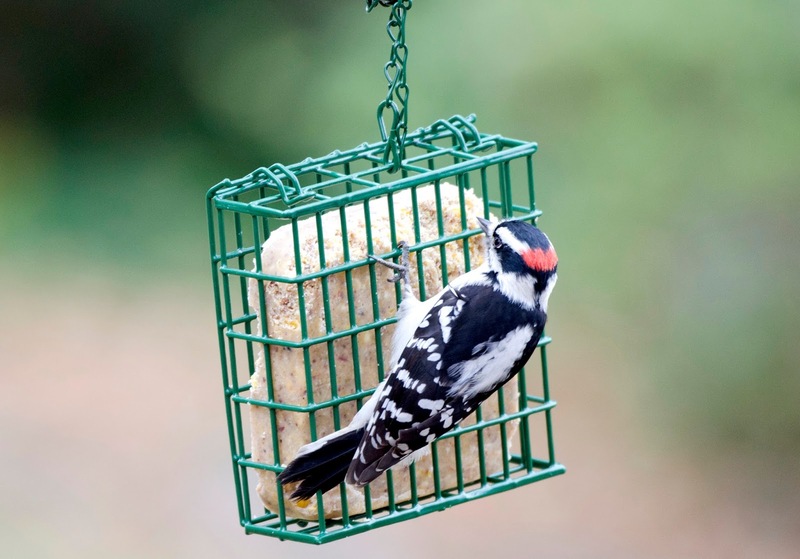 The bird feeders at my place are really busy these days. I see lots of chickadees that are, so far, too fast for me to photograph. The tufted titmouse above and all his relatives are busy all day taking seeds from the feeders and stashing them in secret places for later. Downy woodpeckers are busy pecking at seeds and suet. 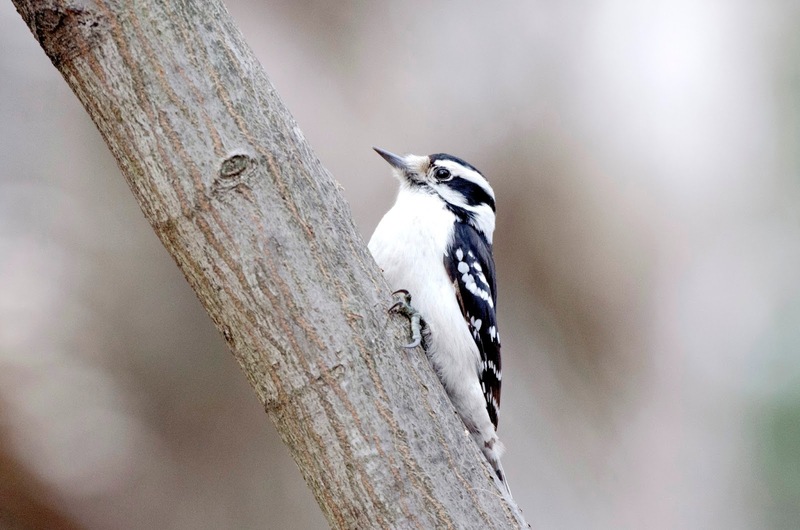 Here's a female downy waiting and watching. 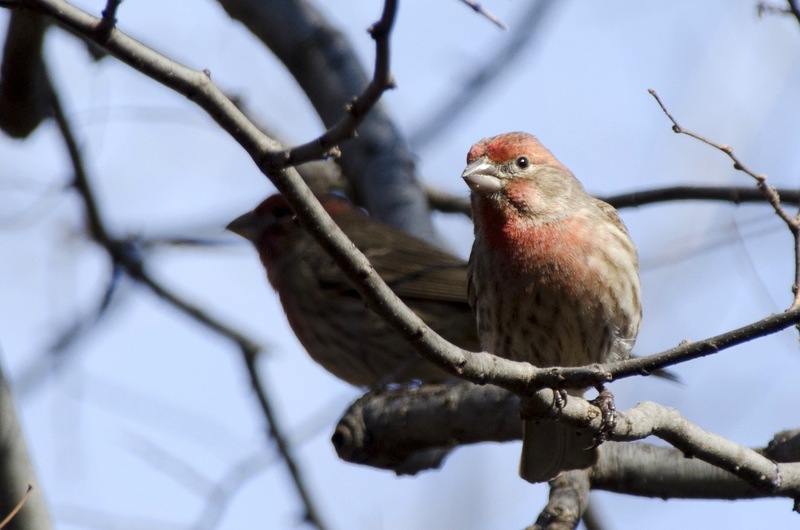 I can depend on visits from a few dozens lovely red house finches every day. 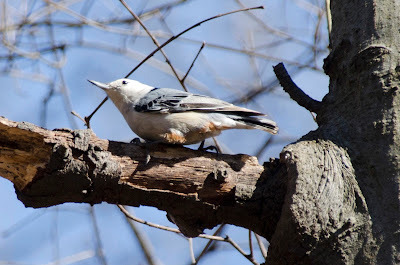 Cute little white-breasted nuthatches flit between feeders and trees, hanging upside down to take seeds and running acrobatically along tree trunks and branches. Click to enlarge. All the bird activity attracts hawks. 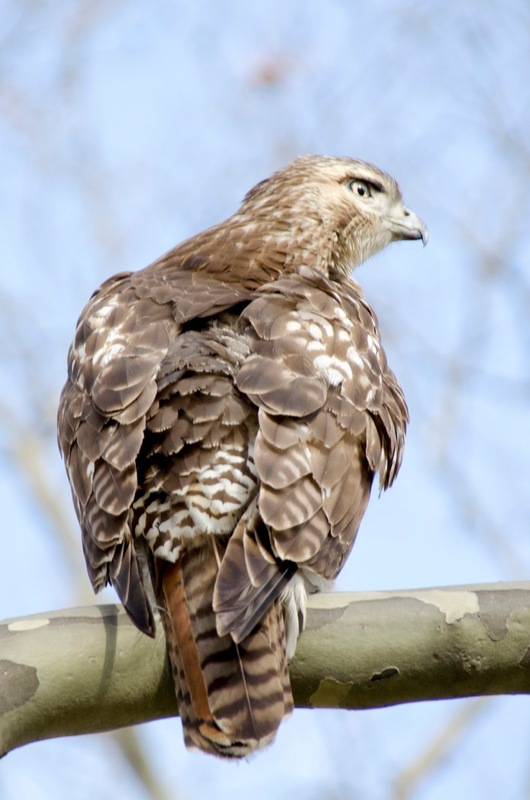 This is an immature red-tailed hawk. Its tail isn't red yet, just striped. 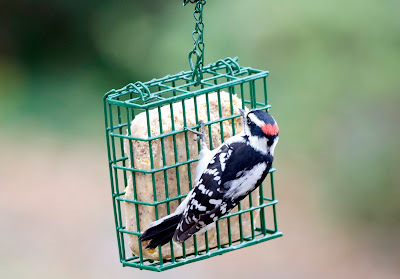 It sits and watches the little birds at the feeder, looking for an opportunity to catch something tasty. 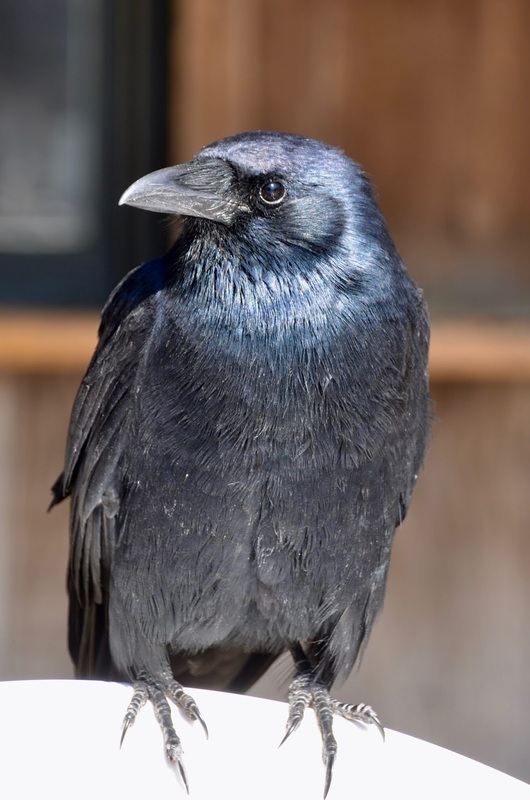 But crows are also watching. They keep an eye on the hawks. 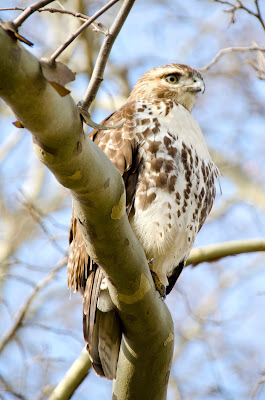 Yesterday I heard a racket outside and when I looked, half a dozen crows were dive-bombing a red-tailed hawk that was sitting in a tree. When crows harass a predator like this, it's called "mobbing" -- they cooperate to bother the hawk, usually to keep it from messing with their young. 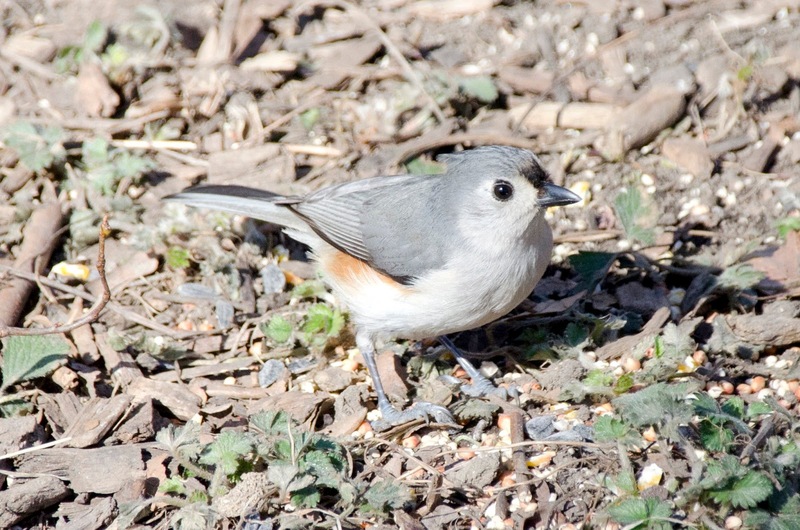 The little birds at my feeders benefit, too. Thanks, guardian crows!